General Dynamics Itronix announced the GD8200, a new Sandy Bridge based laptop that promises to endure in the harshest conditions. Cooked, frozen, dropped, shaken, soaked and tested in 32 rigorous ways, the rugged GD8200 delivers uncompromising performance in ‘real-world’ conditions that define mobile computing. 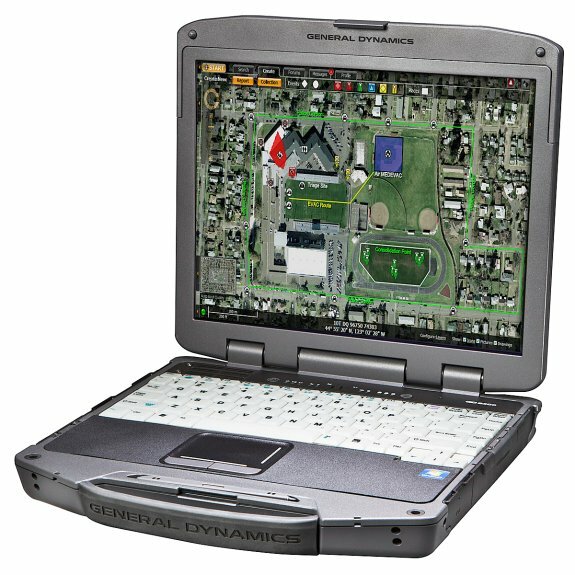 General Dynamics Itronix introduces the new, fully-rugged GD8200 notebook computer. The GD8200 delivers powerful computing, razor-sharp images in full sun and highly sensitive global positioning in a compact, fully-rugged case. Equipped with the new high-speed Intel® Core ™ i7 processor, the GD8200 easily handles hefty imagery, video and data files enabling increased worker productivity. For mobile users in law enforcement, the military, field service technicians and others who work in cars, trucks, even combat vehicles, the GD8200 is the ideal balance between rugged durability and high-performance computing. Addressing mobile workers’ critical need for wireless connectivity, the GD8200 combines Wi-Fi 802.11, Bluetooth and 4G mobile broadband technology to enable seamless roaming for uninterrupted connectivity. The battery-conserving, sunlight-viewable DynaVue® II touch screen display delivers unprecedented clarity and detail when viewing maps and videos. The GD8200 also is designed for ergonomic comfort with standard computing operations and keys positioned for ease-of-use, day or night, with gloves or without. The GD8200 meets U.S. military MIL-STD 810G, which includes punishing drops, shock, vibration, extreme heat and cold and an Ingress Protection (IP) 65 rating, sealing the unit against dust and water. It is also certified to operate in helicopters, withstand electromagnetic emissions and has passed rigorous crash testing for in-vehicle occupant safety. The General Dynamics Itronix GD8200 list price starts at $4460.00. The GD8200 data sheet, with a complete list of features, benefits and specifications is available online at http://www.gd-itronix.com/GD8200.